Here is a map contains territory of Brazil. You can find here city Patos for Garmin. city Santa Cruz do Capibaribe presented. 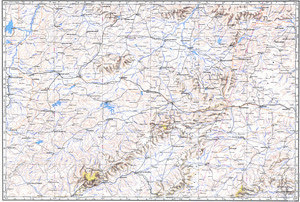 On this map city Caico marked. Displayed city Serra Talhada marked. You can find here city Sousa presented. Displayed city Cajazeiras for Garmin. city Currais Novos download for free. On this map city Ico free download. You can find here city Santa Cruz for Garmin. On this map city Brejo Santo download for free. On this map city Afogados da Ingazeira free download. city Sao Bento presented. city Pombal free download. Displayed town Catole do Rocha for Garmin. town Sao Jose do Egito for Garmin. You can find here town Monteiro download for free. town Lavras da Mangabeira presented.